Following an inspection of the tracking station in Bermuda used for Antares launches after Hurricane Gonzalo, Orbital and NASA together have established October 27 as the launch date for the upcoming Orb-3 Commercial Resupply Services (CRS) mission to the International Space Station (ISS). 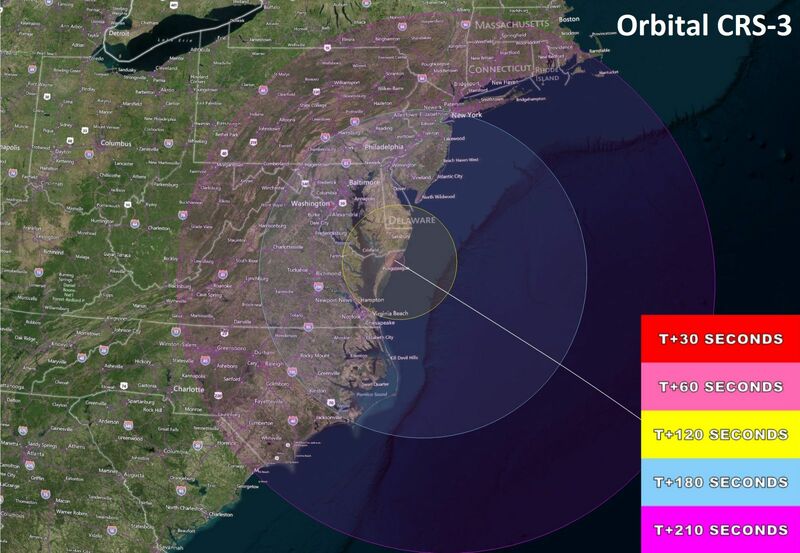 The mission will originate from the Mid-Atlantic Regional Spaceport (MARS) at NASA’s Wallops Flight Facility in eastern Virginia. Lift-off of the Antares rocket is scheduled for 6:45 p.m. (EDT), with rendezvous and berthing with the ISS early in the morning on November 2. Taking advantage of Cygnus' operational capabilities, Orbital is launching the Orb-3 mission to orbit several days earlier than necessary to preserve schedule flexibility and time itsarrival at the station to conform to other visiting vehicle operations. The Cygnus spacecraft is fully fueled and loaded with most of its cargo bound for the ISS and has been mated with the Antares rocket that will launch it into low-Earth orbit. The remaining time sensitive “final load” cargo will be placed onboard tomorrow, prior to fairing encapsulation, which is also scheduled for tomorrow. On Friday, October 24, the Antares rocket will be rolled out from the Horizontal Integration Facility to the MARS launch pad 0A located about a mile away. In addition, Orbital has named the Cygnus spacecraft for the Orb-3 mission the SS Deke Slayton in honor of the decorated U.S. Air Force pilot, NASA astronaut, and early champion of America’s commercial space program. For more about Deke Slayton, please click here.